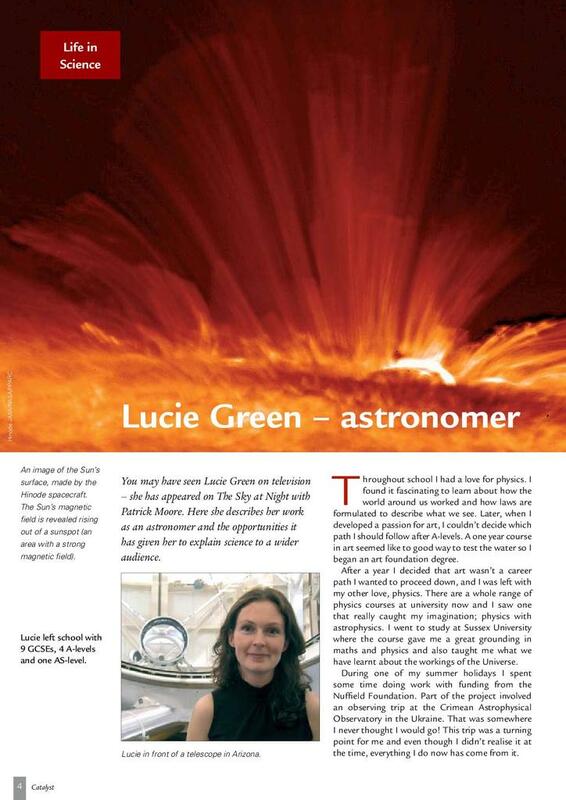 A Catalyst article describing Lucie Green's work as an astronomer and broadcaster on the Sky at Night programme. The article looks at her education and research career together with information on her work outside of broadcasting. This article is from Catalyst: Secondary Science Review 2008, Volume 19, Issue 1.